Beautiful printed check from the Treasurer of the City of Great Falls Cascade County, Montana issued between 1912 and 1928. This historic document has an ornate border around it with a vignette of the Great Falls. This item is hand signed by the Mayor and City Clerk and is over 79 years old. Great Falls is the county seat of Cascade County and is the third largest city in Montana. Situated on the Missouri River in central Montana, the City lies approximately 50 miles east of the Continental Divide, 120 miles south of the Canadian border and 180 miles northwest of Billings, the largest city in Montana. The City encompasses an area of over 17 square miles with a population of 56,690 according to the 2000 census report of the United States Census Bureau. The City is a municipal corporation, organized under the laws of the State of Montana in 1888. The City Charter was adopted June 3, 1986, and became effective July 1, 1986. The City's executive, legislative, and policy-making body is the City Commission. The City Commission composed of a mayor and four commissioners who serve overlapping four-year terms. The mayor is elected at-large for a term of two years. The rich history of Great Falls began in the year 1882 when the Honorable Paris Gibson first came to the present site of Great Falls. 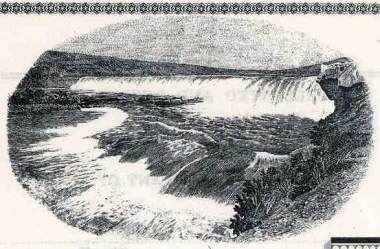 Great Falls was founded two years later and incorporated in 1888.